Grand Rapids is better when it’s shared! It’s easy for your motorcoach group to enjoy a memorable travel experience — with lots of great Grand Rapids tour ideas and group-friendly services. 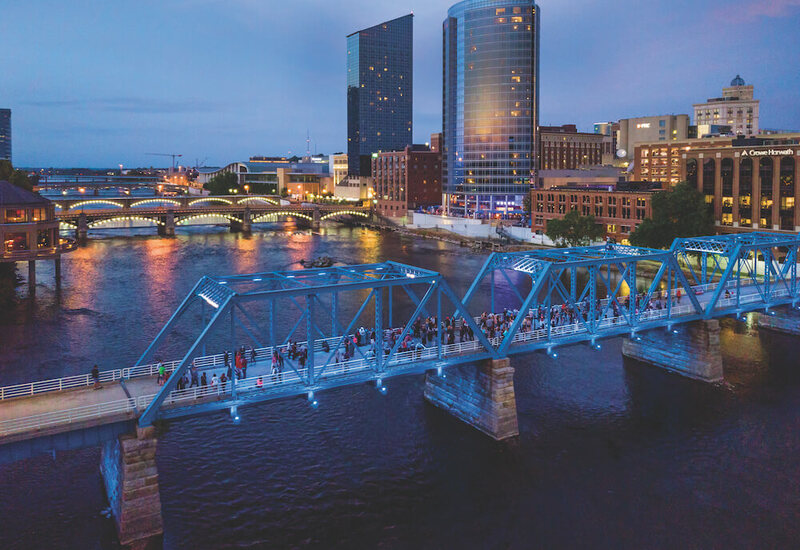 Michigan’s second-largest city, Grand Rapids is situated between Detroit and Chicago and only 30 minutes away from the Lake Michigan coast. 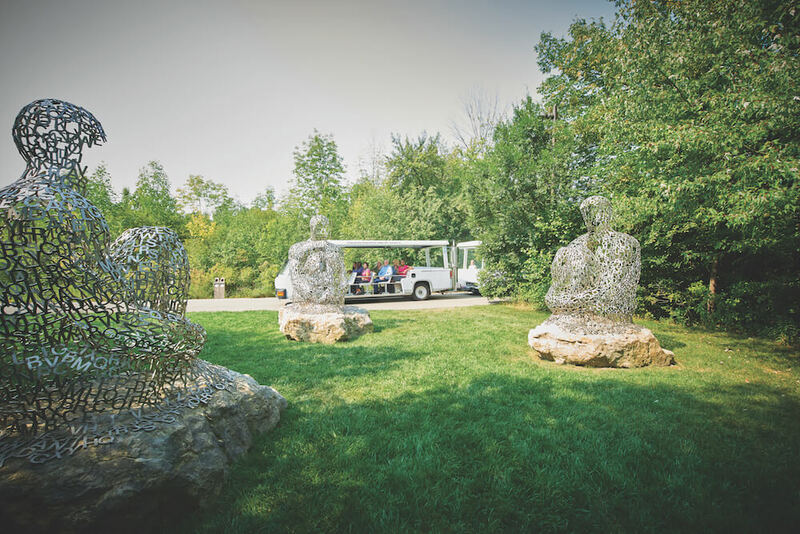 Tram Tour, Frederik Meijer Gardens & Sculpture Park, Grand Rapids, Mich. Wander through Michigan, Dutch, English, Japanese and tropical gardens at Frederik Meijer Gardens & Sculpture Park. One of the “30 Must-See Museums in the World,” this 158-acre haven integrates horticulture and sculpture throughout its site, making it one of the most comprehensive outdoor sculpture collections in the Midwest. Tour groups will enjoy guided tram tours and lunch at the garden café with its dazzling glass ceiling sculpture by renowned artist Dale Chihuly. Gerald R. Ford Presidential Museum, Grand Rapids, Mich. 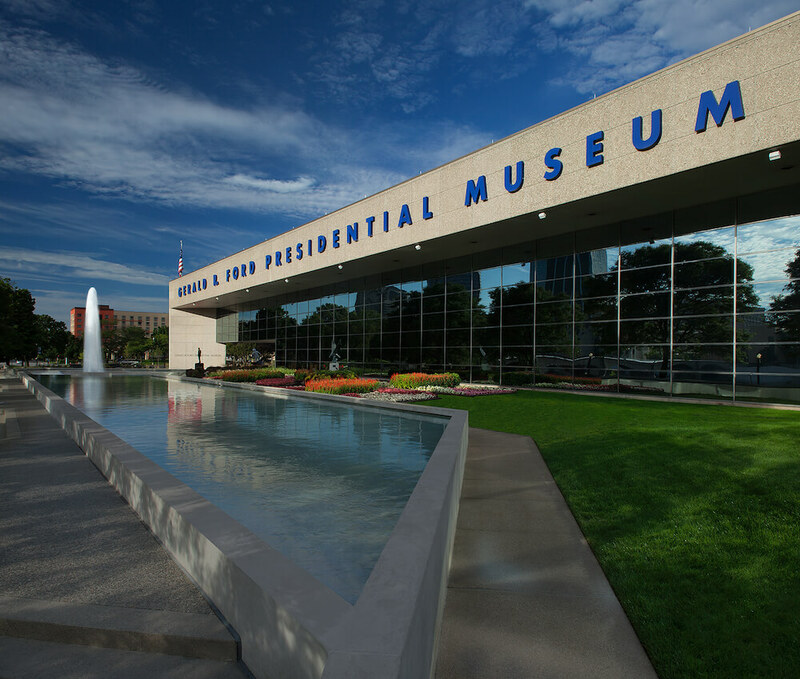 The Gerald R. Ford Presidential Museum is a tribute to the life and times of Grand Rapids’ most famous son, and 38th president. The museum was recently renovated to refresh its permanent exhibits, which include a full-scale replica of the Oval Office. The museum is downtown and close to another favorite historical stop: Grand Rapids Public Museum. Heritage Hill, a historic neighborhood featuring a Frank Lloyd Wright House, is a short bus ride away, and a great addition to a Grand Rapids tour. Downtown Market Grand Rapids, Grand Rapids, Mich. Downtown Market Grand Rapids is perfect as an independent or an organized meal stop. 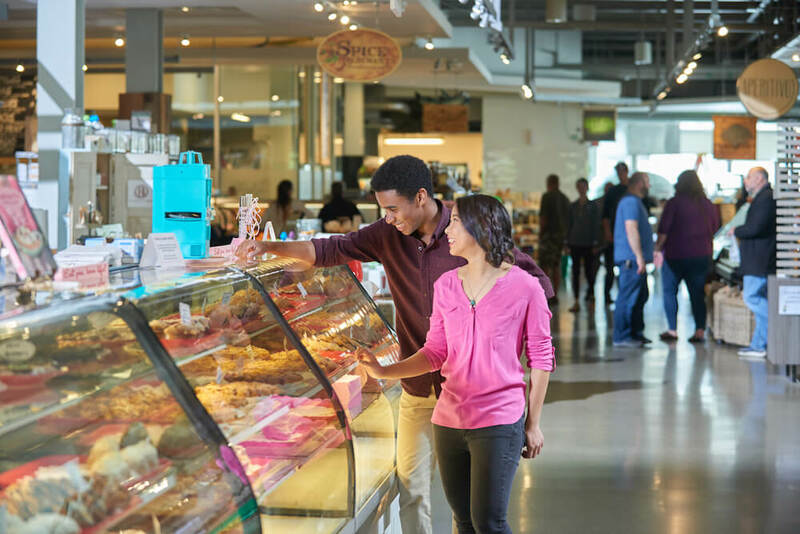 This state-of-the-art local-food emporium features a market hall of 20-plus vendors with two full-service restaurants, a daily schedule of classes and events, rooftop greenhouses, and “living” walls. Group seating is available throughout the facility. Tour operators can purchase gift certificates that act as cash for tour participants to explore the market, enjoy lunch or dinner, and meet the local business owners. Add-on cooking classes are also available. West Michigan’s beaches are one of America’s finest treasures. Crystal-clear fresh water as far as the eye can see. Clean, spacious sugar-sand beaches. Gorgeous sunsets. Condé Nast Traveler named the Lake Michigan shoreline one of the 25 best in the world. 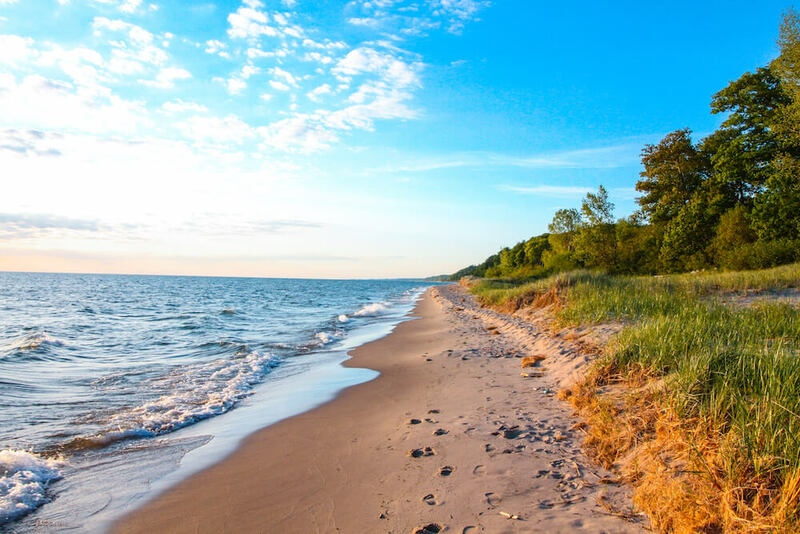 MTV ranks Oval Beach as one of the five most beautiful in the U.S. A 30-minute ride from Grand Rapids, groups can easily spend a day at the beach and a night on the town.